← Will it be CIVIL WAR? The excerpt and “KEY POINT” shown below is taken from a previous SOTN essay titled: American Republic On The Brink. The subtitle of the same article posted on August 25th wis: It all comes down to the next 2 months. KEY POINT: Everything is pointing to a cataclysmic 9/11 type event, only on a much greater scale, between now and September 23rd. Whether this staged event will be a shocking terror attack and mass casualty incident, or a manipulated act of nature like Hurricane Harvey destroying the Texas coastline, the globalists have planned something very BIG indeed! Regardless of what form this black operation takes, it is very much the direct result of the total solar eclipse. Millions of Americans watched that inauspicious dimming of the sun, and the nation as a whole will suffer the inevitable consequences (We are very sorry to say!). What you just read is entirely true. It just happened! And it may happen yet again. The NWO globalist cabal has just pulled off a 9/11 on Houston, and yet very few are aware of it. Those that are aware do not understand the true depth and breadth of this black operation. 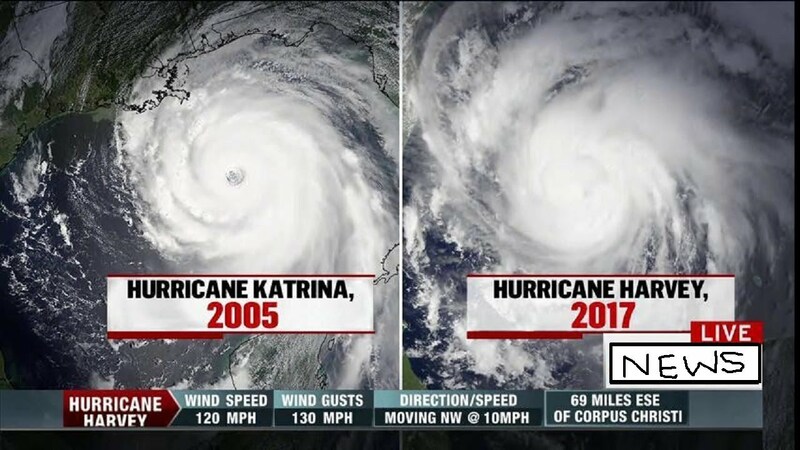 The cabal also did a replay of the obviously geoengineered Hurricane Katrina. The truth be told, Superstorm Harvey is an order of magnitude far greater than the staged terror attacks of September 11, 2001. Similarly, HARVEY dwarfs Katrina in terms of real damage to the nation’s oil and gas hub, as as well as other peripheral yet major damage. Why did the NWO cabal launch such a transparent attack on America? The cabal has never been so desperate to sow seeds of chaos and confusion everywhere. There are many reasons for both the timing and severity of this highly destructive act of weather warfare. However, Houston’s “Katrina” is still ongoing, and the 9/11-style assaults are still being perpetrated in this post superstorm period. It’s very difficult to determine in real time which post Harvey calamities are the result of the storm, and which are being carried out by the mercenary criminals of Deep State. Hence, it has never been so important to remain vigilant. The entire greater Houston area and surrounding environs up and down the Texas coastline may be hardwired. Hardwired for what? There is no quicker way of taking down the United States of America than to go for the heart of the nation’s industrial base. With the invasion of the East Texas coastline by HARVEY, and especially cities like Houston, Galveston and Port Arthur, the “circulatory system” of the country has been significantly compromised. Yes, oil is industry’s blood. Whenever oil refineries, pipelines and storage capacity are destroyed or shut down, the repercussions will be felt quite quickly and pervasively, as we are now seeing. It’s not very difficult to identify all the key players that might be involved in the sabotage of the American Oil & Gas Industry. Nevertheless, the clandestine plotters have conspired to implement a cover-up of their scheme which is very deep, very dark and very devious. As the recovery gains traction, the future of Texas (and the nation) will soon unfold in such a way that all of the true purposes of this weather war will become much more apparent. Until then, all patriots — especially those near the Texas coast, are strongly encouraged to be vigilant for their safety and observant within the locale in which they live, work and play. It is no quirk of fate that the city of Corpus Christi was the first major city to get whalloped by HARVEY. As most Texans know, Corpus Christi means “Body of Christ”. That the coastal city took the brunt of the Category 4 hurricane was by purposeful design. The decision-making controllers and their geoengineers carefully steered HARVEY right at Corpus. This direct hit was meant to send a message — subliminal though it was — that the globalist cabal intends to remove Christianity from the USA wherever and whenever possible. This purge of Christianity form the public domain began with the Communist Manchurian Candidate, Barack Hussein Obama. 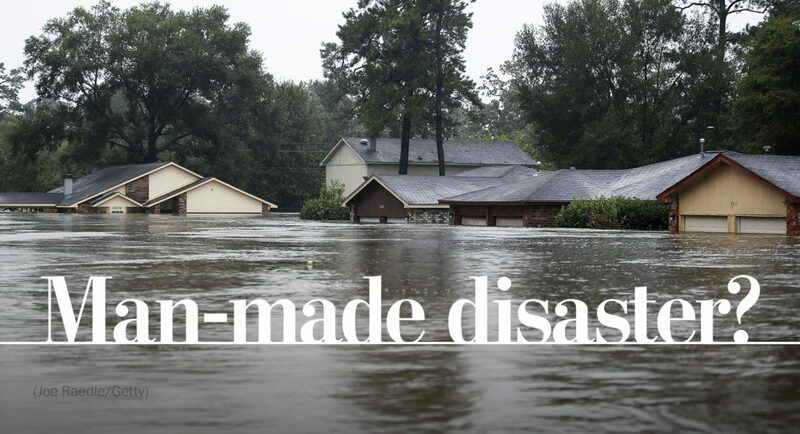 Yes, Harvey’s Houston deluge was a manmade disaster. It ought to be self-evident that the great state of Texas, and particularly Houston, just took an unparalleled superstorm blow in the form of geoengineered Hurricane Harvey. The following link below breaks down this geoengineering operation in such a way that leaves no doubt about the immediate goals of such a psyop. Hurricane Harvey: A Geoengineered Superstorm Targets Texas—WHY? There are additional reasons for the fabrication of this superstorm which are explained in this article: HARVEYGEDDON: Who geoengineered it? And why now? With the understanding provided by these two exposés, it will be easy to comprehend how simple it is for the geoengineers to take an existing but disorganized storm system and transform it into a highly organized superstorm. What the geoengineers did was hijack a small tropical depression in the Atlantic and transform it into Cat 4 super-rainmaking Harvey. Now the $64,000 question is: What’s the silver lining in this dark cloud? It is infinitely more difficult for The Powers That Be to stage another 9/11 scale terror operation. Unlike 2001, We the People are much more informed and savvy in 2017 about such false flag attacks. Therefore, the ruling cabal is forced to cloak their terror operations with the garb of “Mother Earth”. In other words, Hurricane Harvey was still a false flag attack, only the perps set up Mother Nature to take all the blame. The following article explains how the geoengineers routinely hijack small naturally occurring storm in the Atlantic and transform them into superstorms that are then slammed into the American coastline. What the geoengineers did was hijack a small tropical depression in the Atlantic and transform it into Cat 4 super-rainmaking Harvey.